I saw today’s cows in a video showcased on my Yahoo home page and went to find the YouTube video link for you, because I’m sure that after you see it, you’ll want to show your friends. It’s that good. 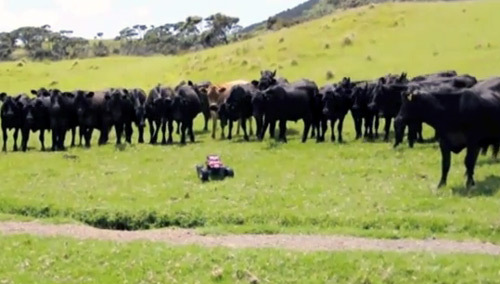 Somehow, whoever shot this video decided to test the cattle’s reaction to having a remote control car on their turf. Well, were they in for a surprise and you’ll be too! Enjoy the show and let me know what you think. 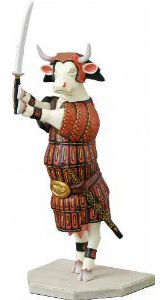 Previous Post Does a cow with three horns mean good luck? Next Post Help me, I see Red Bull everywhere! That is amazing! They sort of respond the way a dog might….running away when it goes toward them but running toward it when it goes the other direction. The only difference is a dog would probably sneak up on it when it stopped and sniff it out. Very cool! 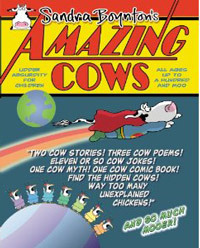 Who knew cows had such a playful attitude and curious mind? My husband was so surprised when he first saw the video, he thought it was completely fake and made with computer animation.